Club legend and co-founder of the Toronto Dingos, Paul Tinkler, has called a day on his playing career after 194 matches in the red and black. He retires as the second-most capped player at the club, and arguably the most decorated player to have donned the red sash. 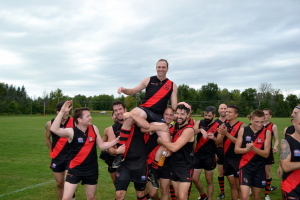 A mainstay for the Dingos over the past 21 seasons, "Tinks" has helped to shape the club on and off the field to make it one of the most successful Aussie Rules clubs in Canada. Having served as president, coach, and a director on the executive, Tinks has worked passionately to ensure the development and growth of both the Dingos and the sport of Aussie Rules. While his earlier career in the red and black yielded four Division 1 premierships, Tinks has more recently spent a great deal of his time developing and strengthening the club's Division 2 squad, playing in the team's 2013 and 2015 premierships. He is the only person to have played in all six of the club's flags since its inception in 1996. The 2016 season saw Tinks return to the Division 1 squad, playing as an important pillar in the forward line. His 11 goals brought his Dingo-total up to 251, which is good for third all-time at the club. What makes this statistic even more impressive is that Tinks spent a large portion of his career in the backline, where he was named as the Centre Half Back in the club's 20-year All-Star Team. In addition to his premiership glory, Tinks has won two Stewart Awards (Best and Fairest), five goalkicking titles (three in Division 1 and two in Division 2), and two Steinberg Awards (Best Clubman). He has also been recognized with selection to multiple AFL Ontario All-Star Teams. In recent years, Tinks has developed his craft as an AFL Ontario umpire, and is widely regarded as one of the best in the league, having won the Best Umpire Award in 2013. But, for all Tinks' individual successes, his greatest achievement has to be recognized in his desire to grow the sport of Aussie Rules internationally by constantly recruiting new players and helping them to refine their skills. His passion for the sport and the club is unparalleled, having regularly attended trainings for over two decades, often arriving early and staying late to help teach new players skills and rules. Tinks' retirement will leave a hole in the red and black, but the hard work that he has put in throughout his career will ensure the club's stabililty for many years to come. 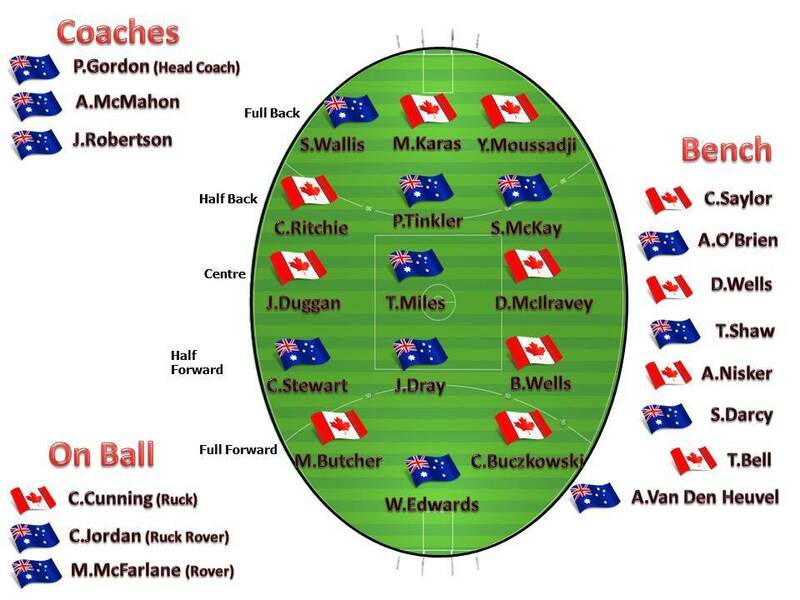 The Toronto Dingos would like to thank Tinks for everything that he has done for both the club and Aussie Rules in Canada.